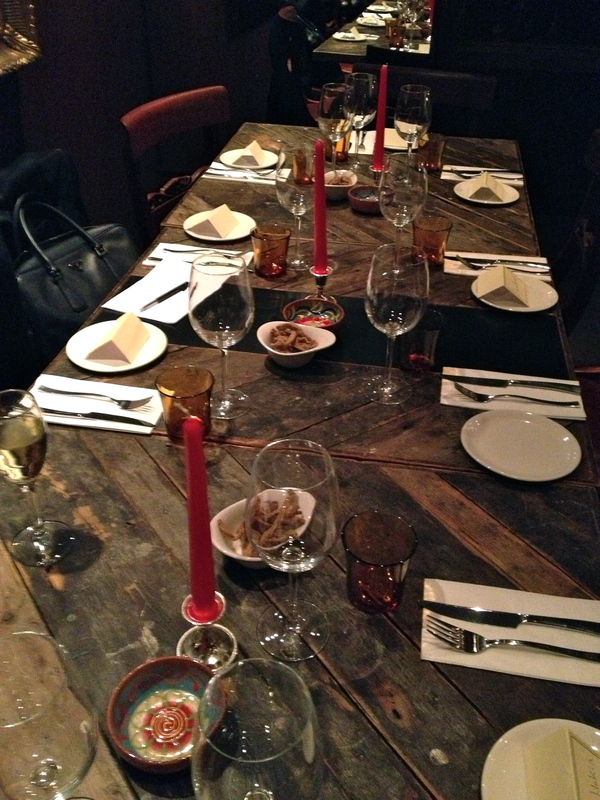 The other night I was invited along to a media dinner at Salvador & Amanda, the restaurants new Bloomsbury location. Considering the launch was the night before, I was surprised to see such an overwhelming crowd enjoying after work drinks and tapas at the bar. I was ushered through the bustling crowd and made my way upstairs to the much calmer setting of Restaurant Cadaqués. A dimly lit room with tables set for two and a romantically set long table for our twelve person dinner. We all found our place cards and chatted away about the restaurants background as we gazed at a stunning picture of Cadaqués hanging over the table. The restaurant is appropriately named after Salvador Dali and his muse, Amanda and serves tapas influenced by the region of Catalonia that he often visited. After a cocktail reception, the table was then served a series of tapas for us all to share made by the incredibly talented Chef Rubén Dario Estrella. 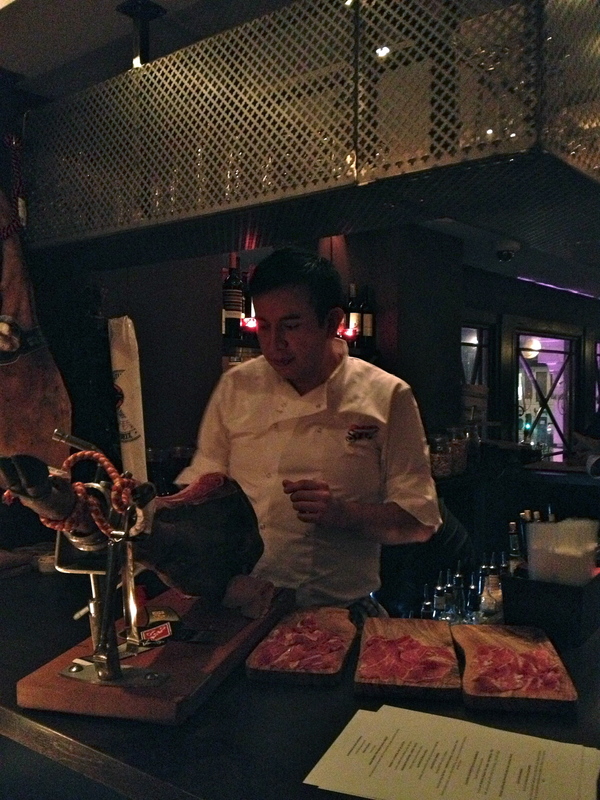 First we tasted Jamon Iberico ‘Pata Negra’ which is hand carved, acorn fed Iberico ham on the bone from Jabugo which had been cured for 36 months. 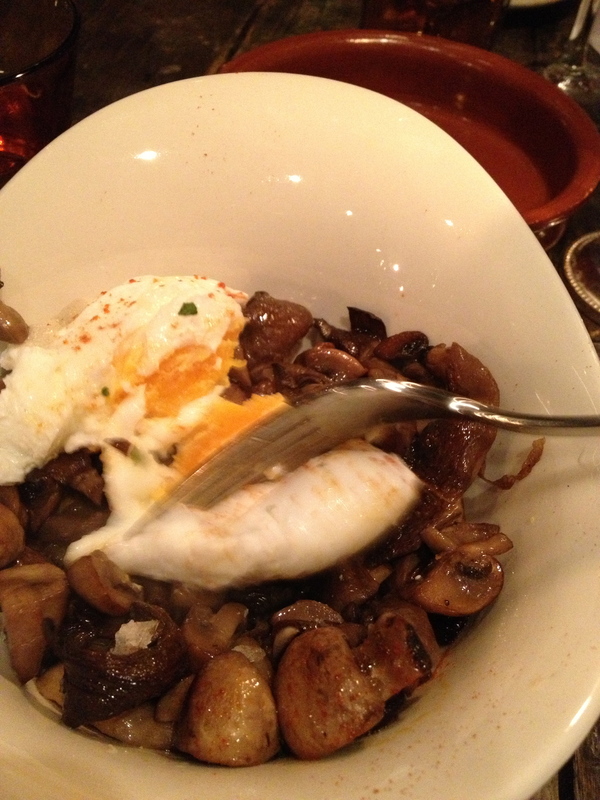 This was exquisite and was served with salted Marcona almonds and bread with pure Spanish olive oil. The perfect taste of Spain to set the mood. 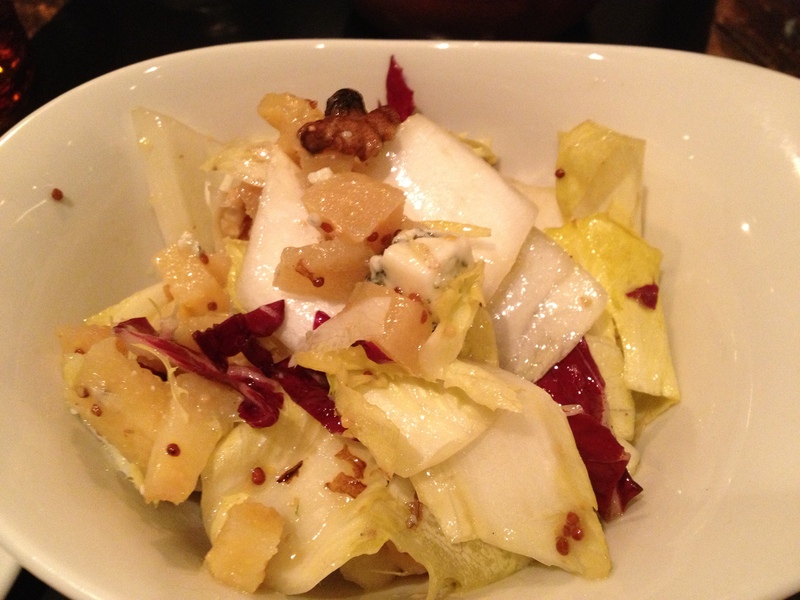 We were then served a salad of chicory, walnuts, pear, blue cheese and an acidic dressing to tie the sharp and sweet flavours together. Next were handpicked crab and chili croquettes. A crispy fried bite with a smooth, creamy filling of sweet crab meat was absolutely delicious. 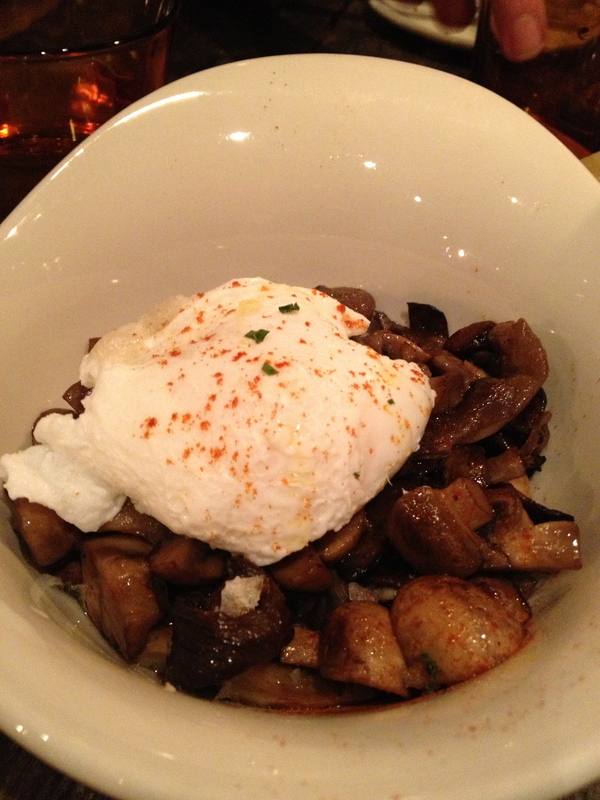 After that, we were served sauteed wild mushrooms with garlic and a poached, free range egg. This was delicious and incredibly morish. 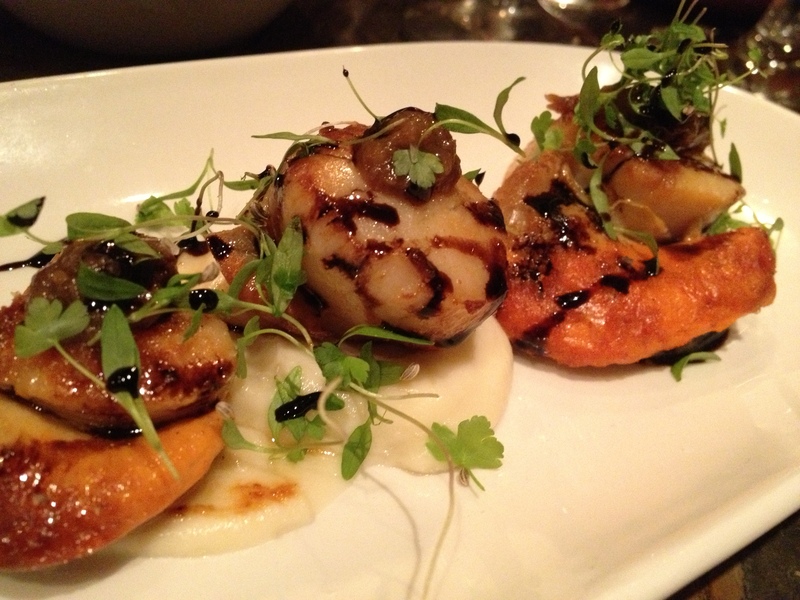 Next up, Cornish scallops with cauliflower puree and raisins. These were cooked to perfection and had a drizzle of aged balsamic to really enhance the sweet flavours of the puree and raisins. 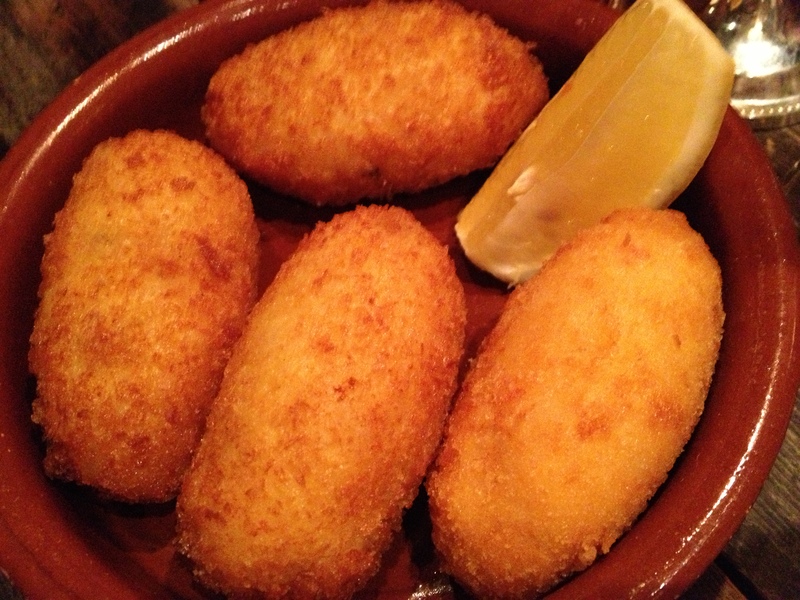 Our last tapas was certainly not least. Chorizo Lollipops with quince aioli. 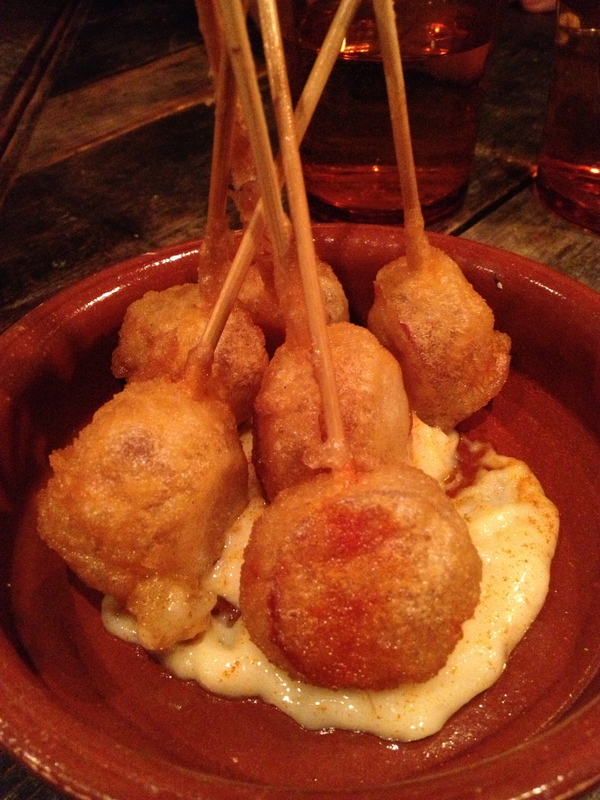 Pieces of chorizo which had been battered and fried were skewered to be dipped in a quince aioli. Crunchy batter, salty chorizo and sweet quince aioli were a divine creation that gave a whole new meaning to the word lollipop. 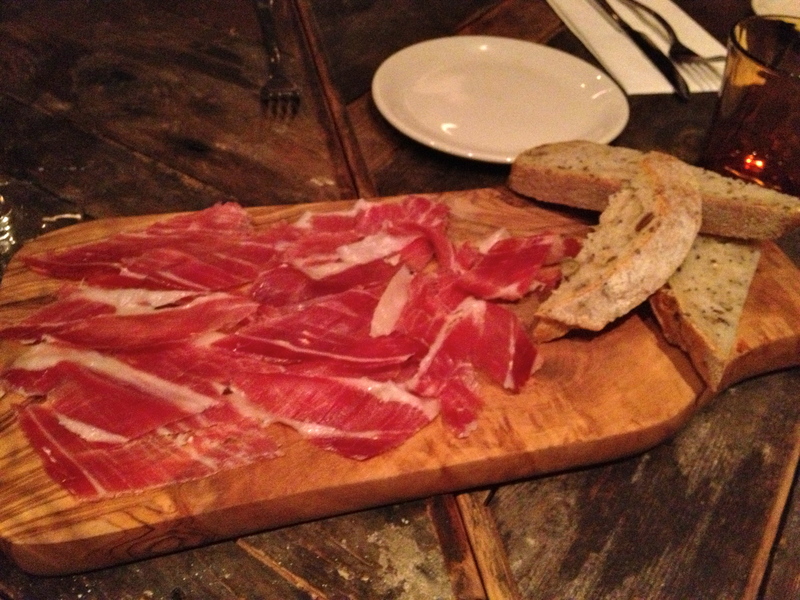 After our series of shared tapas came our main. Roast Suckling pig served with new potatoes and broccoli. 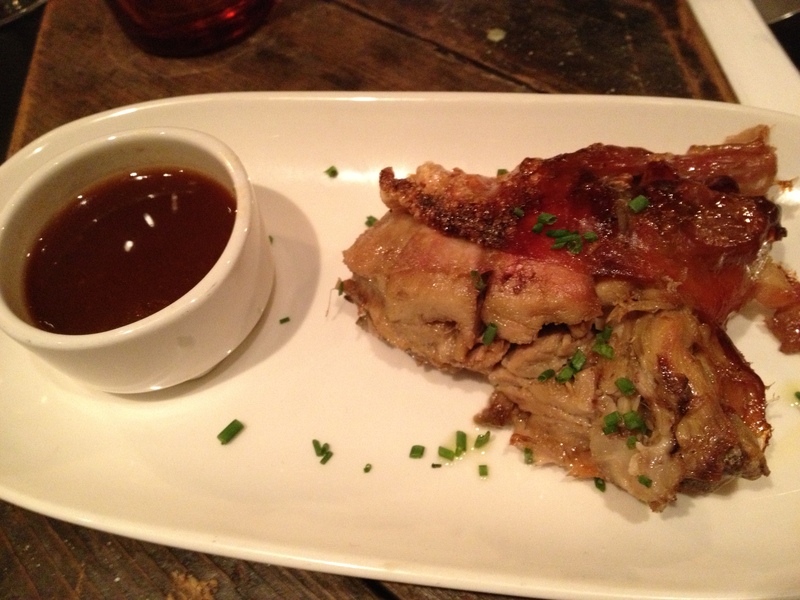 The pig was cooked to perfection. 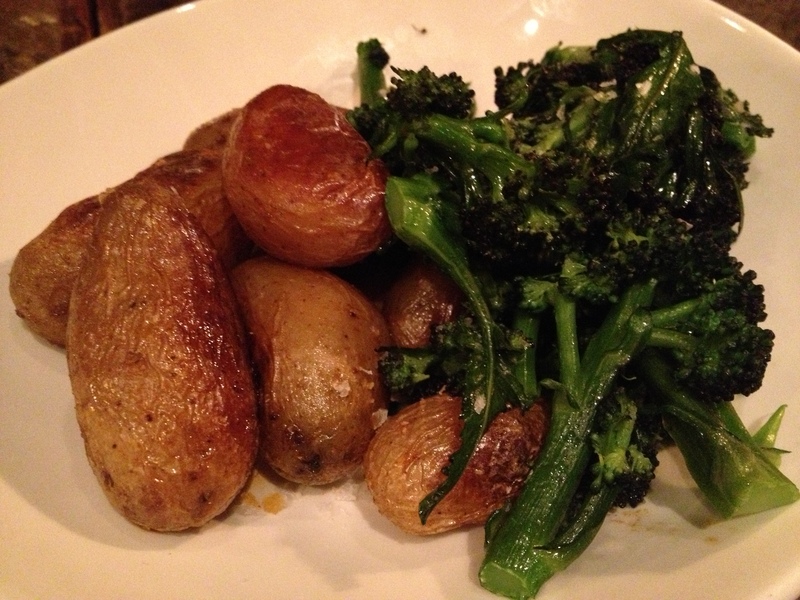 The new potatoes and broccoli were tender, yet crunchy and had a sweet salty flavour to them. Then came heaven. 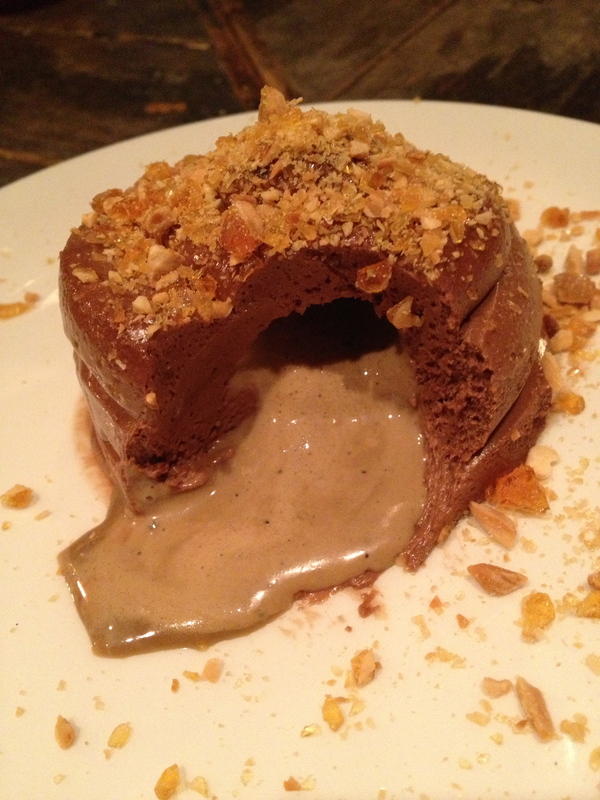 But this chocolate fondant with coffee ice cream and candied almonds made me exclaim in pure delight WOW! Silky, creamy chocolate mousse guarded a cold, liquid coffee ice cream centre. With each bite there was a sweet crunch of candied almond. 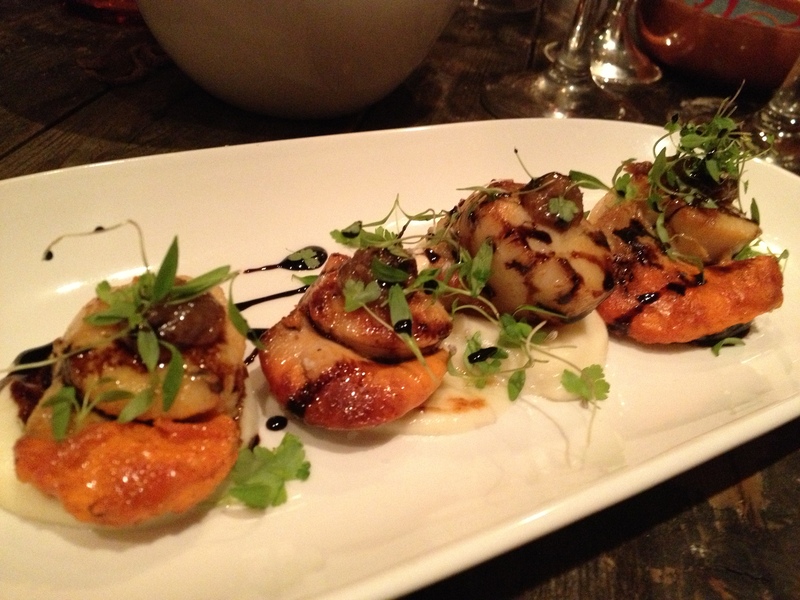 If you’d like to taste a series of delicious tapas at Salvador & Amanda’s new Bloomsbury location, book here. 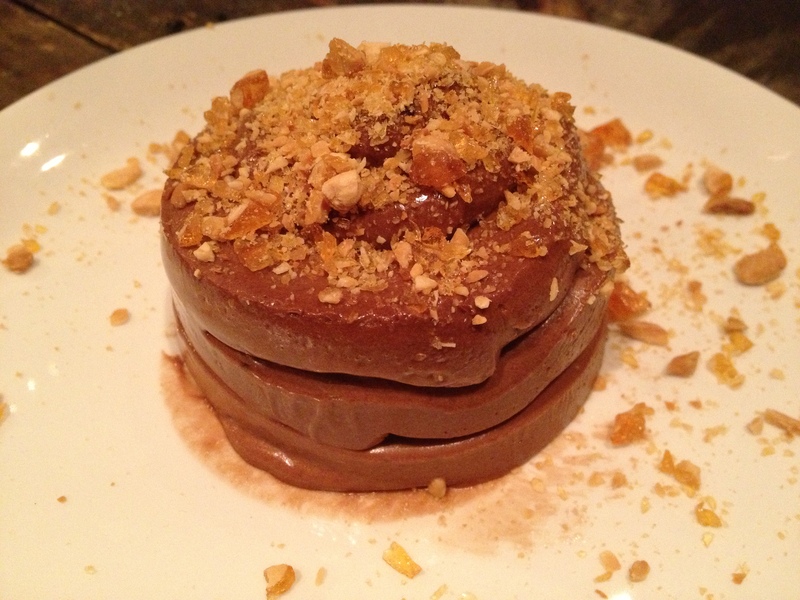 Oh, and promise me you’ll order the chocolate fondant? Great post – thanks for the review of somewhere new to visit.